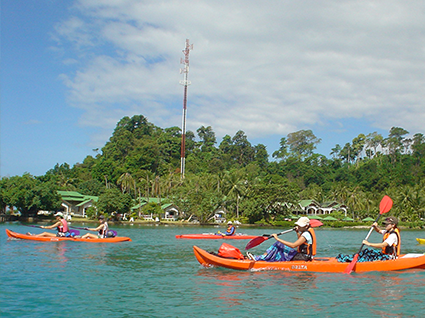 Our programs here can either be ocean or land based with fantastic Sea kayaking expeditions around the archipelago and beach camping on Offer. Residential programs are also possible beach resort based with a ocean focus. The island is reached via a vehicle ferry from the Koh Chang pier. Travel from Bangkok is via road using minibus or coach which then drives onto the island: Travel time 3 1/2 hours, Ferry 50 mins. 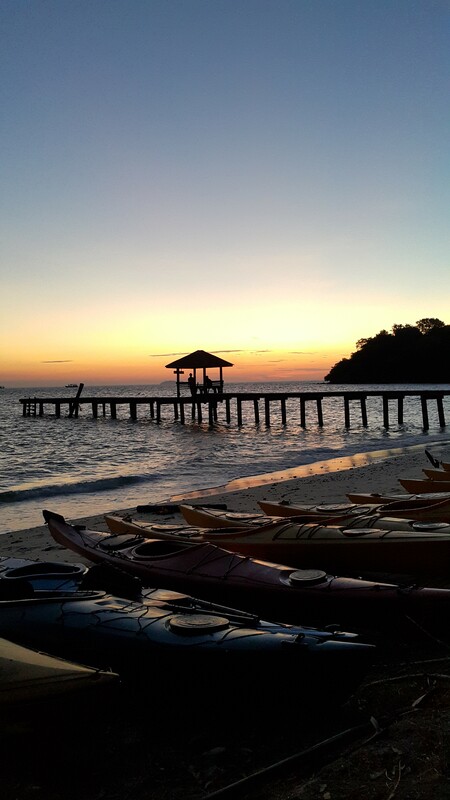 Ko Samet is the largest and westernmost of a cluster of islands .At its closest point to the mainland, the island is 2.6 kilometres (1.6 mi) south of mainland Rayong most of the island (excluding the Na Dan area) is in the Khao Laem Ya–Mu Ko Samet National Park. 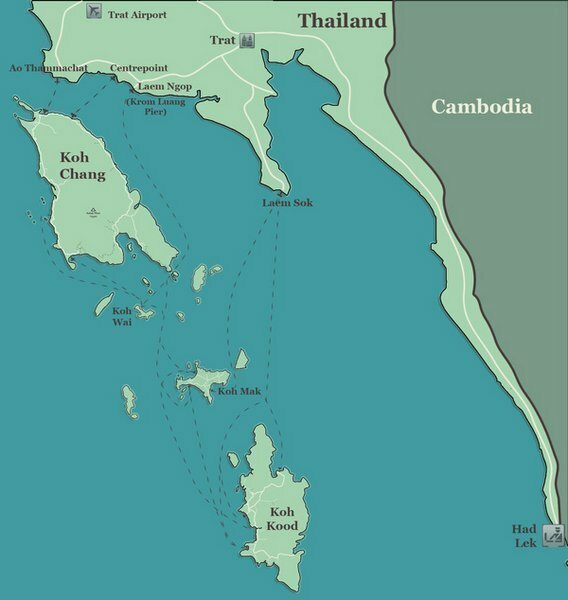 In 1981, the Royal Forest Department declared the archipelago of Samet, along with nine other small islands, the headland of Khao Laem Ya, and the 11 kilometres (6.8 mi) Mae Ramphueng Beach to be a national park, and thus Ko Samet is under the protection of the National Parks Division of the Thai government. 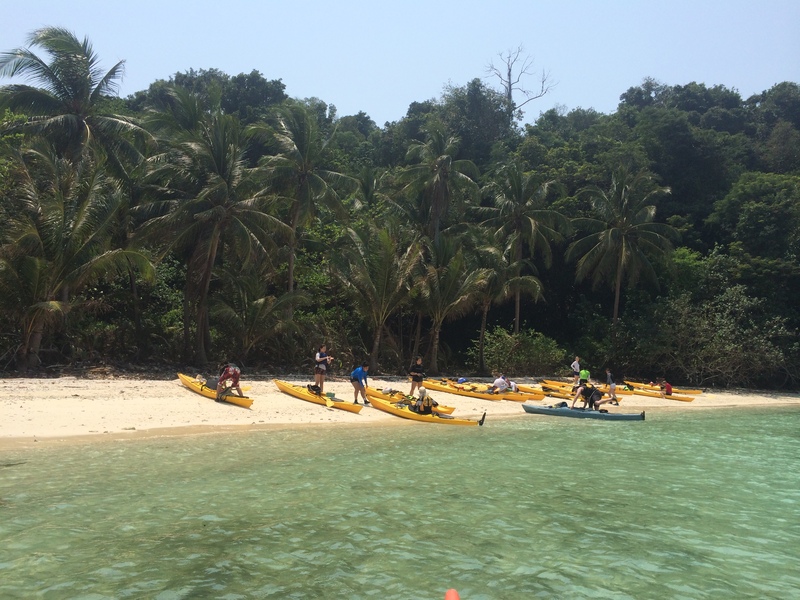 Our programs here are ocean based with Sea kayaking self supported circumnavigation of the island a possibility. We can also offer softer options using sit on top kayaks. Programs have an attendant support vessel capable of holding all kayaks and paddlers in the event of inclement weather. The island is reached ny a short ferry journey from the pier in Lam Me Phim. Travel from Bangkok is via road using minibus or coach: Travel time 2 1/2 hours, Ferry 30 mins. Golden sandy beaches, secluded bays, and a scuba diving paradise, Koh Tao is one of Southern Thailand's true tropical island escapes. Koh Tao is most definitely unique both above and below the water and has a very much western sensibility. 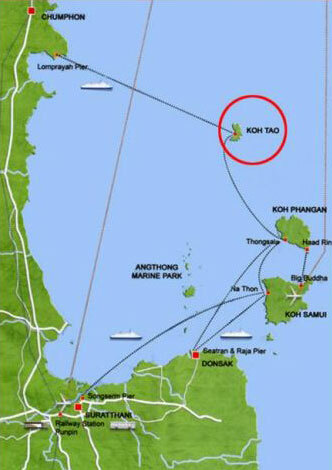 Programs run for students in Koh Tao see us use either our own guest house (Pier 24) or resorts booked privately. Students are supervised when not diving by our team. Our programs on Koh Tao are all marine based from basic learn to dive to full reef study programs and instructor training courses. 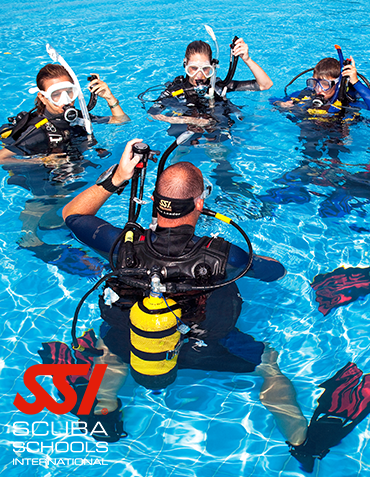 Everything is based though our sister company and dive specialist arm Planet Scuba teaching internationally accredited SSI courses. 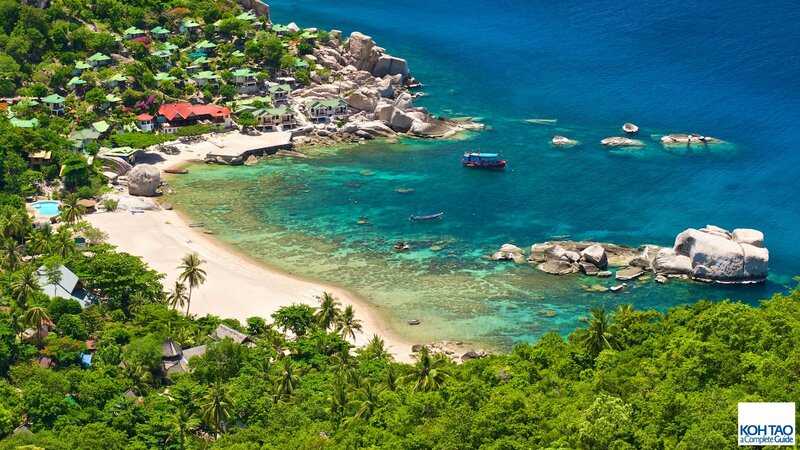 Without question, Koh Tao is Thailand's #1 scuba diving destination, with some of Asia's most famous dive sites located all around this beautiful island. Mu Ko Ang Thong is a marine national park in the Gulf of Thailand, on the shores of the Surat Thani Province. It covers 42 islands in a total area of 102 km². 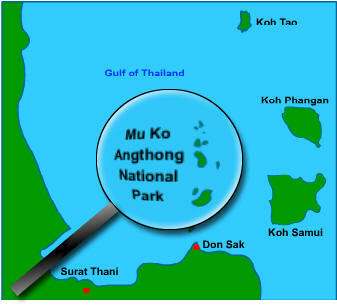 Mu Ko Ang Thong National Park consists of 42 islands. 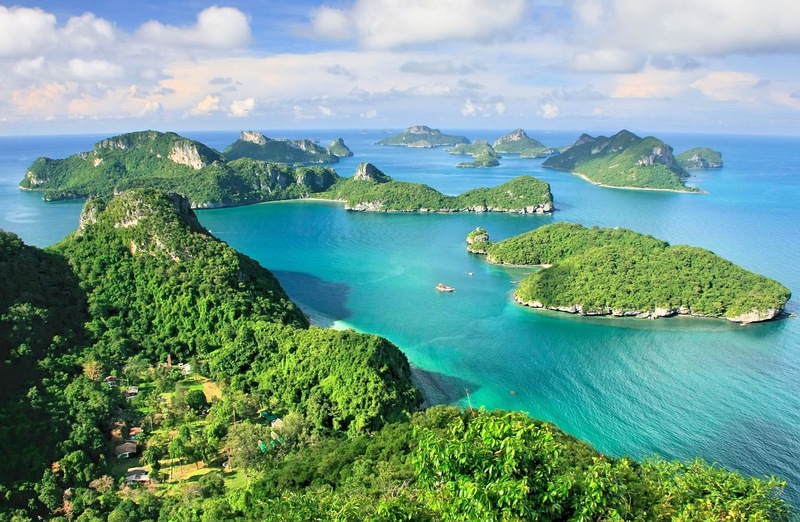 Its main islands are Phaluai Island, Wua Chio Island, Wua Talap Island, Mae Ko Island, Samsao Island, Phai Luak Island, Kha Island, Hindap Island, Phi Island, Wua Kantang Island, Mae Yat Island, Wua Te Island, Naiphut Island, Changsom Island, Hanuman Island, Thaiphlao Island, Huaklong Island, and Kho Ban Island. Most of the islands consists of limestone mountains about 10-400 meters above sea level. Because the limestone can change its structure easily by both chemical condition and weather, the islands have many, strange-looking caves and cliffs, and some islands look like ancient Angkor Wat in Cambodia and Prasart Hin Pimai. 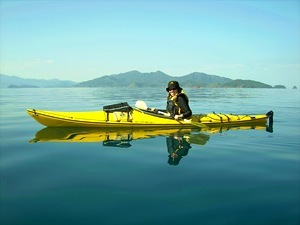 The only programs suited here are sea kayak expeditions. 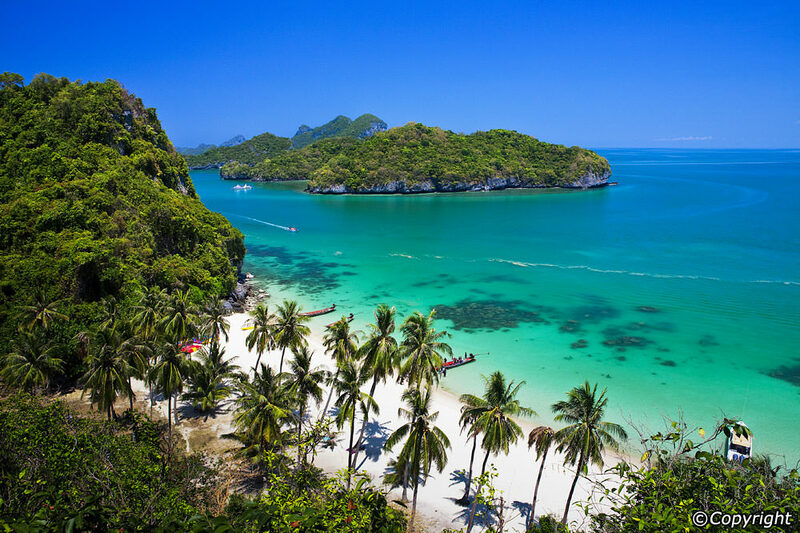 ( DOE and IYAA eligible Silver and Gold)Option are either to transfer to the park via charter boat from Koh Samui or to paddle to the park from the mainland over 2 days island hopping. Programs are all supported by a vessel capable of taking kayaks and paddlers in inclement weather.